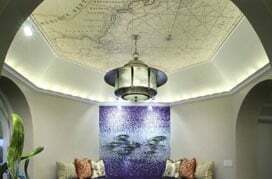 Wall murals of contemporary and modern patterns are popular because of how they complement just about any kind of space. 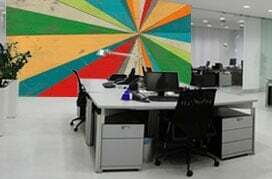 Whether you’re looking to add a splash of color to your office, spruce up your hallways or redecorate your bedroom, you simply cannot go wrong with a patterns wallpaper mural. While no two people may share identical tastes in art or decor, it is fairly easy to find common ground with such a collection of tasteful murals, hand-picked to match almost any taste. Take a visual tour through this collection of wall murals and choose the ones that you think will bring out the best in your space. One of the best things about this collection of patterns wallpaper murals is the variety and range it offers. From flower petals and outer space themes to geometrical designs and artistic influences from around the world, you will see wall murals reflecting just about everything beautiful you can imagine. Nature herself serves up plenty of choices when it comes to attractive patterns and designs. Consider for example the lines on a leaf, the designs on a butterfly’s wings, the patterns on a tree trunk or an animal’s fur. At times, you may find exquisite patterns in the most unexpected of places such as a bamboo grove, as these wall murals reflect. The collection is not limited to patterns you find in nature. Showcased alongside these natural masterpieces are man-made creations as well. These include digitally generated graphic art such as murals with abstract themes, spiral patterns, Moroccan tile themes and other motifs. Whimsical and thematic patterns featured in this wall murals collection include for instance those featuring numerous dice thrown together and a number of murals featuring vintage backdrops and ethnic motifs. From a busy diner to your dining room, no matter which kind of space you’re looking to decorate, your walls are guaranteed to pop with one or more of these wall murals of contemporary and modern patterns.